The Lewis McManus Memorial Honor Trail, also known as the Beckley Rail Trail, travels from Mabscott, through the heart of Beckley, north to the Beckley Crossing Shopping Mall. It follows the route of the former Piney River & Paint Creek Railroad, which began construction in 1905. It was later taken over by the C&O Railroad (now CSX) and hauled coal, freight and passengers. 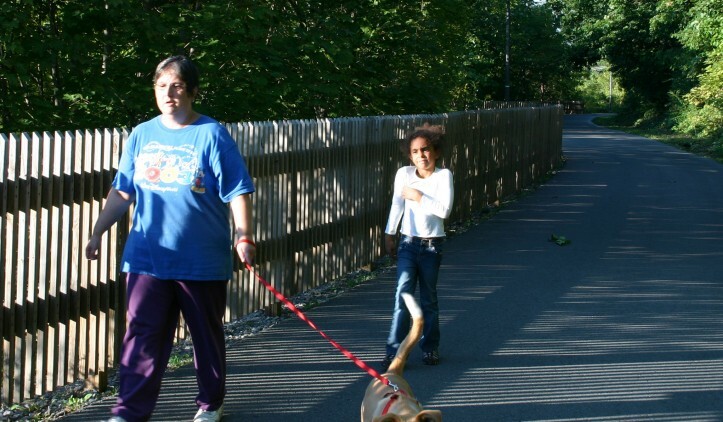 The paved rail-trail offers a mix of busy urban areas and quiet neighborhoods. A spur via a restored trestle over Robert C. Byrd Drive takes trail users to popular New River Park. Parking is available at New River Park (100 Adair Street), which is along the short spur trail, and at the Beckley Crossing Shopping Mall (124 Beckley Crossing Shopping Center) at the north end of the main trail.